I’m happy to share that the news that the new Smashburger location in Raleigh’s Falls Village Shopping Center is offeringe Triangle Explorer readers a chance to win two FREE dinner entrees. To enter simply leave a comment on this post sharing your favorite burger topping or milkshake flavor. You can also enter by sharing this post on twitter using the hashtag #ExploreSmashburger. The winner will be randomly chosen next Friday January 30th at 3pm and notified via email. 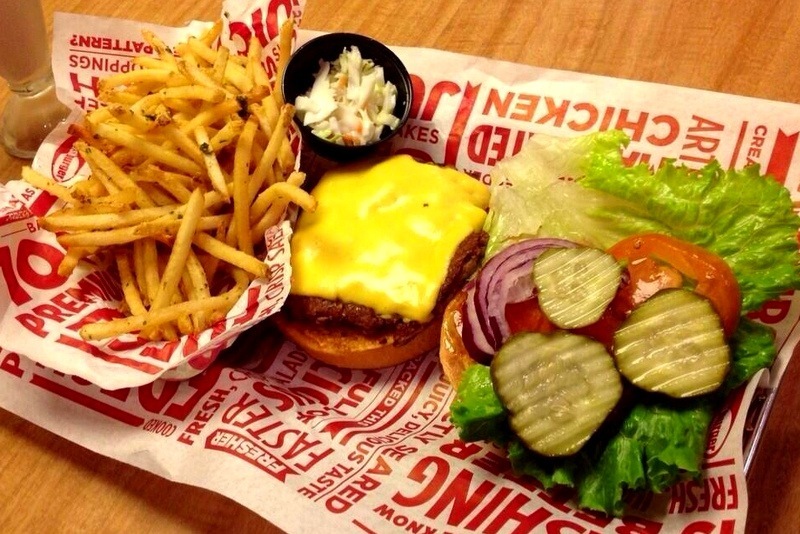 Smashburger has a wide selection of fresh, never frozen Certified Angus Beef burgers “smashed” on a 400-degree flat grill to sear in the juicy flavor and served on toasted artisan buns. They have more than just burgers too, offering tender grilled chicken sandwiches and fresh-tossed signature salads, and handspun Häagen-Dazs shakes. They also offer a variety of irresistible sides including rosemary and garlic–seasoned Smashfries, Haystack Onions and Veggie Frites (flash-fried and seasoned carrot sticks and green beans). To learn more about the Smashburger experience you can read my full review of their Durham location here. My favorite shake is Oreo! My favorite topping is grilled mushrooms & I’m always a sucker for an Oreo milkshake. I always love some crispy bacon on my burger! Swiss, grilled mushrooms, grilled onions, jalapeños… Yum! I can’t wait. chili, onions and mustard – Carolina style! my favorite burger topping: cheddar cheese, grilled onions, and chipotle mayo! I love a ridiculously large amount of lettuce on my burger. The more crunch, the better. :). Thanks for sharing! Thanks for the giveaway! Favorite burger topping is carmelized onions and favorite milkshake flavor is cookies and cream. Mushrooms and Onions…and who doesn’t like an Oreo milkshake? I love avocado on a burger! Can’t beat the good old vanilla milkshake. Has always been my favorite. I typically love grilled mushrooms on top of my burger, but lately I’ve been heading toward avocado and egg. Milkshakes… I’d prefer a root beer float. My favorite burger topping is ketchup! My favorite burger topping is garlic aioli or truffled cheese. Salted caramel shake is the best!! Is this good for other locations or just this one? I can’t have a burger without PICKLES! Nothing beats a good old fashioned chocolate shake! I worked at a little diner during my teens and one of my favorite milkshake concoctions was chocolate and strawberry mix. I love a strawberry milkshake, especially one with fresh strawberries mixed up in it! 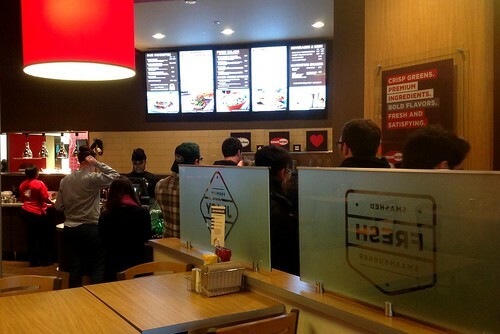 Can’t wait to try out Smashburger. Jeff T. My favorite topping are fresh jalapeños, guacamole, pepper jack, lettuce, tomato, onion & chipotle mayo on a spicy chipotle bun. Vanilla milkshake ftw. So not boring! My favorite burger topping is guacamole and my favorite milkshake is mint chocolate chip! I like mustard, ketchup, pickles and lots of onions on my burgers! Congratulations David M.! Your were the randomly selected winner of the Smashburger Giveaway! I will be in touch shortly with instructions to claim your prize. Thanks for entering everybody!